Introducing the “Pursue Your Purpose” Join Incentive! You know I’m not shy about my love for all of the incentives we do with Trades of Hope, on top of all of the awesome world change that is going on with every product sale! Today I wanted to share our current join incentive! This one is close to my heart, since I went on a Vision Trip with Trades of Hope to Haiti to visit our artisans and this school! The school uniforms were so cute on these little ones! 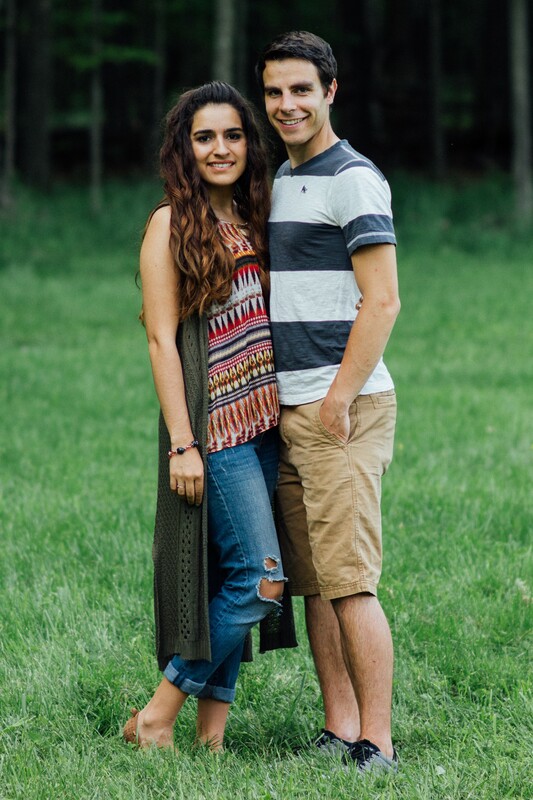 Here’s some pics of me with these cuties! This sponsoring incentive runs throughout the first quarter of 2019, from January 1st through March 31st. 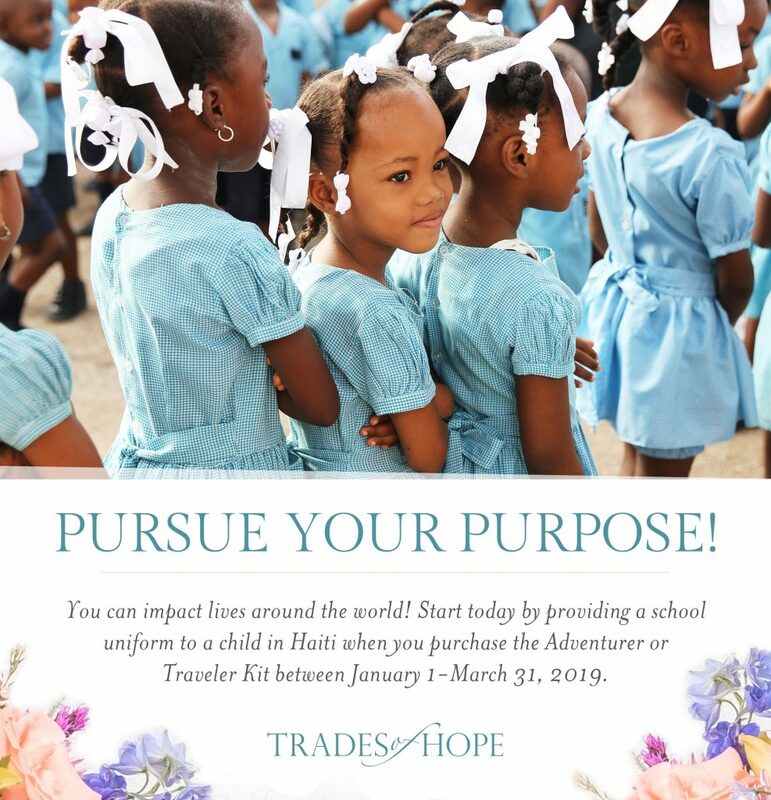 For each new Compassionate Entrepreneur that joins by purchasing either the $99 Traveler Kit or the $199 Adventurer Kit, Trades of Hope will donate a school uniform to a child in Haiti! Children in Haiti are required to wear uniforms to go to school, but the cost is prohibitive for many parents. Clothing shouldn’t stand between a child and their future! If you join as a CE, YOU will start making a difference in lives from the moment you join! New CEs must join by purchasing the $99 OR $199 kit to qualify for this promotion. New CEs must purchase their kits between 1/1/19 – 3/31/19 @ 11:59 pm EST. One school uniform will be donated to a child in Haiti for each new CE. I love this incentive! How do I get started? 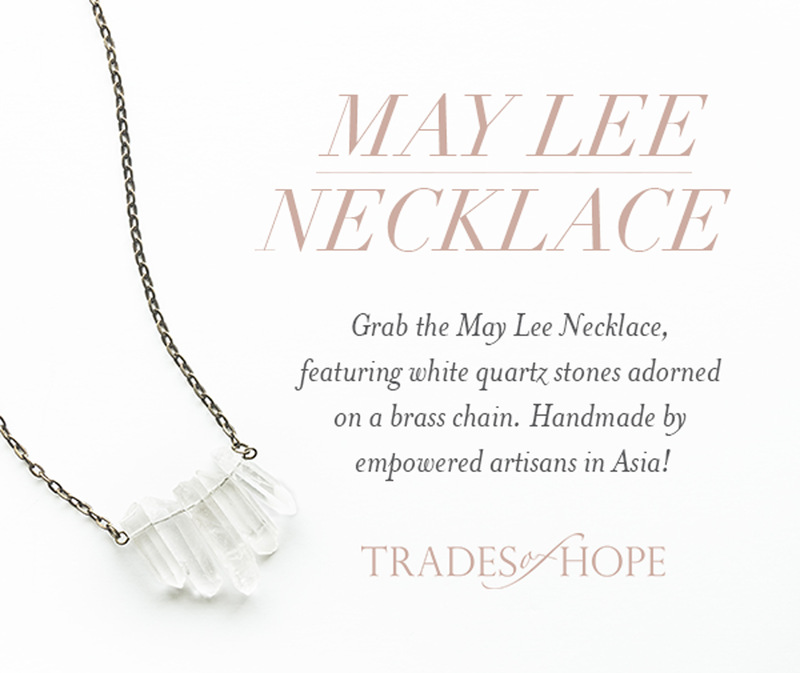 It really is the perfect time for you to join Trades of Hope as a Compassionate Entrepreneur! Combine this promotion with our Map to Guatemala, Smart Start Program, AND current Hostess incentive, and you’ve got a recipe for an amazing start to your impactful business! Sound like something you want to be a part of? SIGN UP NOW! 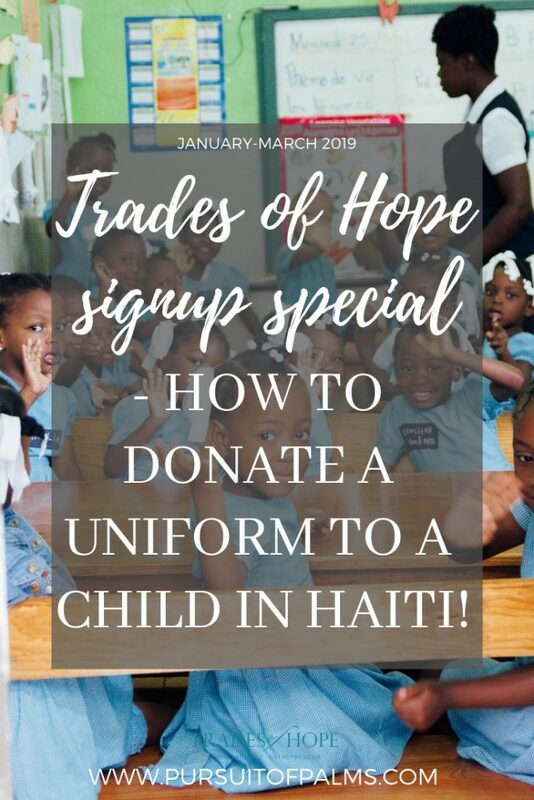 If you want to join or have any questions, be sure to check out my how to Join Trades of Hope post, and either find me in my Facebook group, OR send me an email at tawnyandluke@pursuitofpalms.com. I would love to chat and get you started strong with all of these amazing incentives going on! When you sign up under me, you’ll receive mentorship and guidance from me and my upline – if you want it! But if you don’t, I’ll leave you alone – promise.